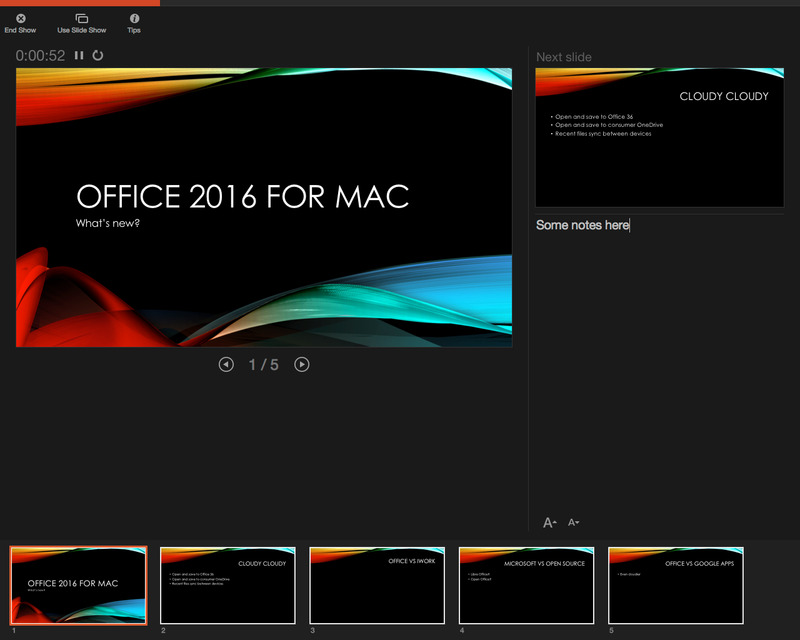 Office for MAC 2016 comes in two editions - Home & Business 2016 and also Home & Student 2016. Home & Student 2016 includes Microsoft Word 2016, PowerPoint 2016, OneNote 2016 and Excel 2016. 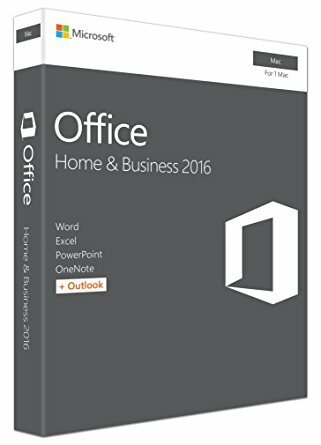 Home & Business 2016 includes Microsoft Word 2016, PowerPoint 2016, Excel 2016, OneNote 2016, and also Microsoft Outlook 2016. 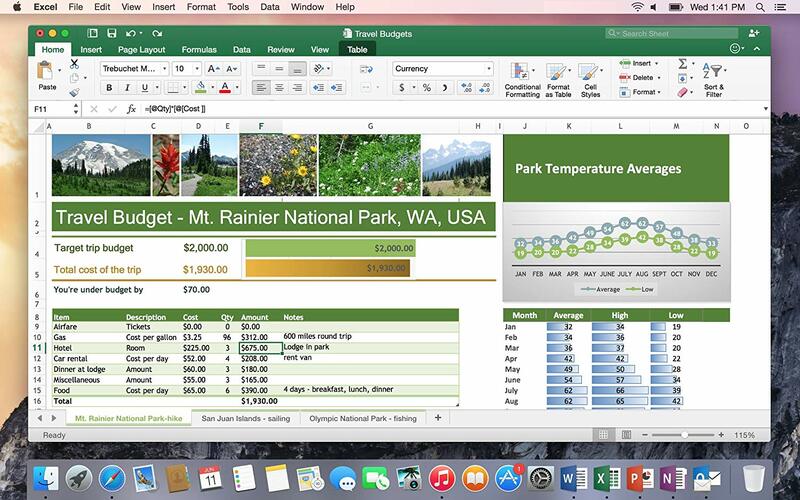 Office 2016 for Mac is designed freshly from the ground up to take full advantage of the latest Mac features, including Retina display, full screen view support, and scroll bounce. 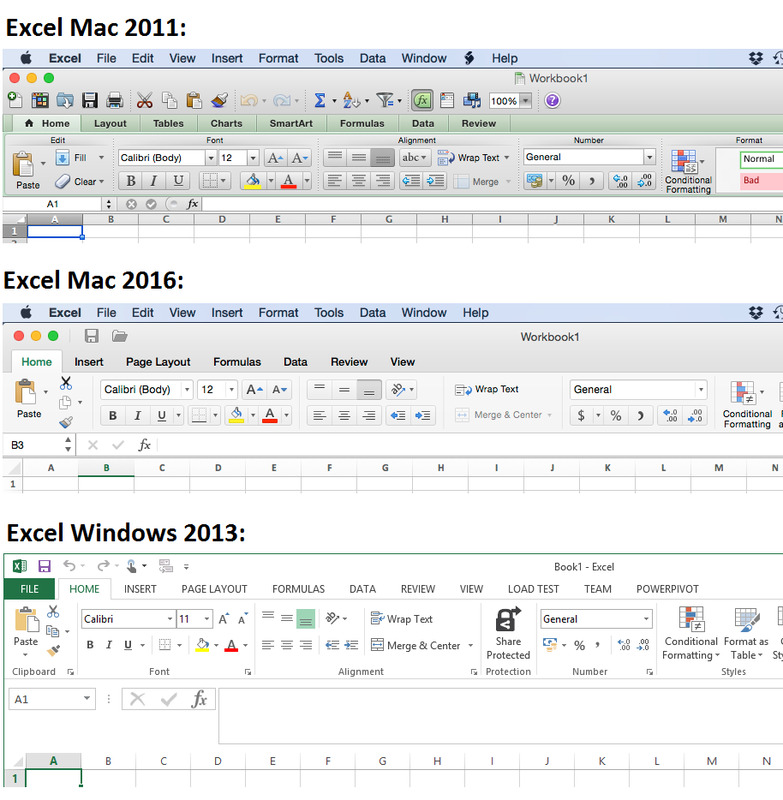 MS 2016 Editions of Word, Excel, PowerPoint, OneNote, and Outlook for 1 Mac. NOTE: Home & Student does not include OUTLOOK 2016. Only The Home & Business Edition includes Outlook. 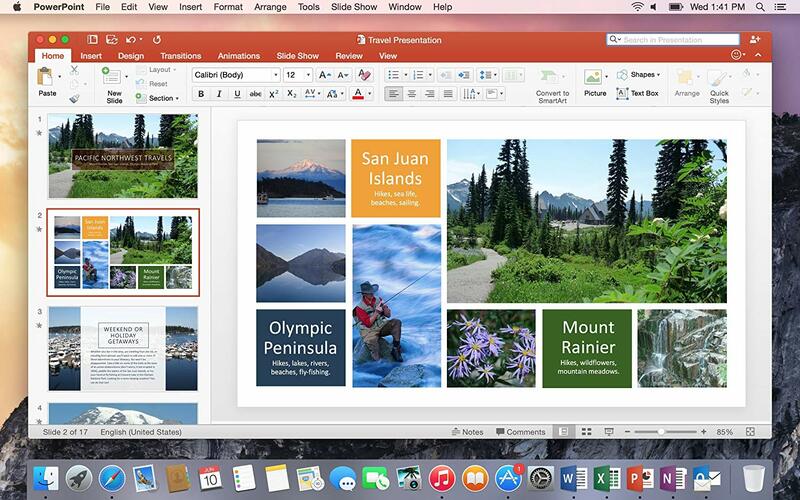 Office 2016 for MAC comes fully loaded with the newest versions of your favourite apps for your device. Create your best projects with built-in design, research, and proofing tools to help you achieve great things. Get things created your way, collaborate universally with anyone, and swiftly manage your shared documents with real-time co-authoring — whether you are online or offline - productively. Sign in to Office 2016 acloud services to easily access your recent documents with seamless integration. Your stuff anywhere, anytime! 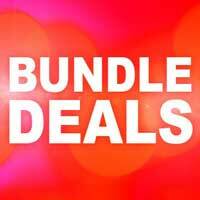 Easily manage your e-mail, calendar, contacts, tasksand so much more. Push email support keeps your inbox up to date,the all new conversation view groups related messages, and calendars can be reviewed side-by-side for planning. 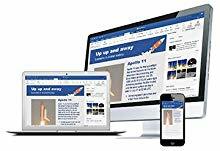 Office Home & Business 2016 for Mac is designed , with its ease and familiarity, for users and small businesses alike that want Office with the power of Outlook for email, calendars and contacts. It’s the Office you know, love and trust, updated to take advantage of the last Mac features, including Retina display and full screen view. 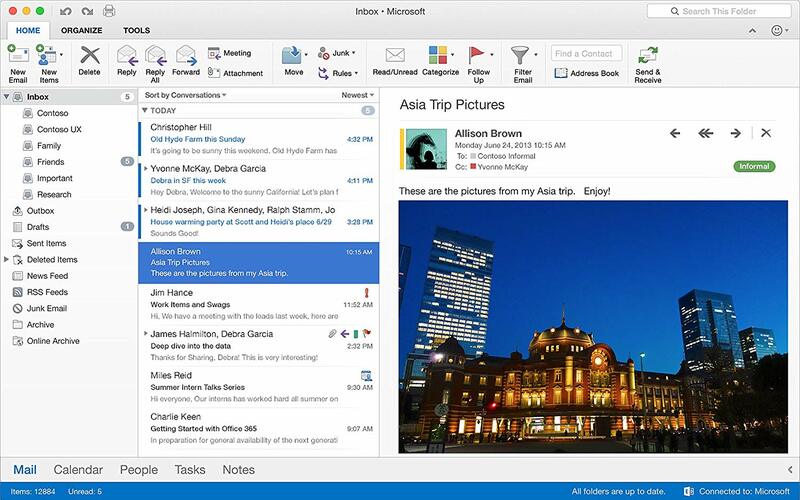 Outlook for MAC 2016 allows you to Easily manage your email, calendar, contacts and tasks with an all new fresh gui. Push email support keeps your inbox up to date, allowing conversation view and groups binding messages and calendars for a more efficient and productive yet personal email client experience. 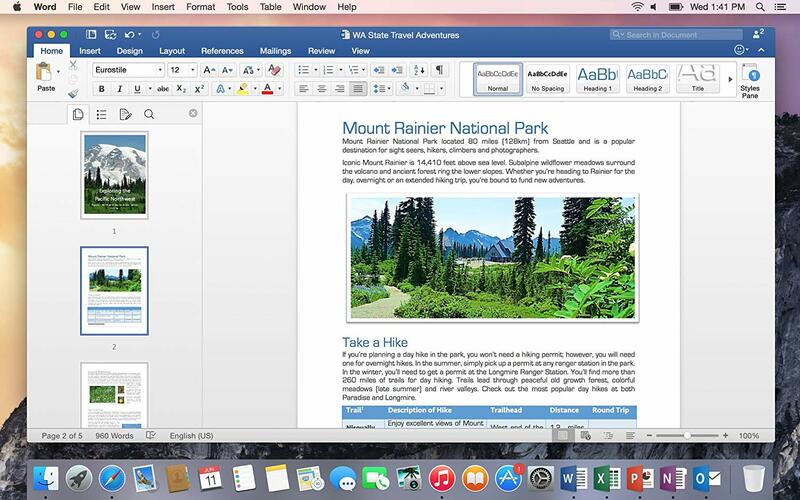 Word for MAC allows you to Create and share professional-looking documents with state-of-the-art editing, reviewing, sharing and design tools. The new Design tab provides swift access to a multitude of features, and with Smart Lookup - efficiently showing all relevant contextual information from the web directly inside Word. 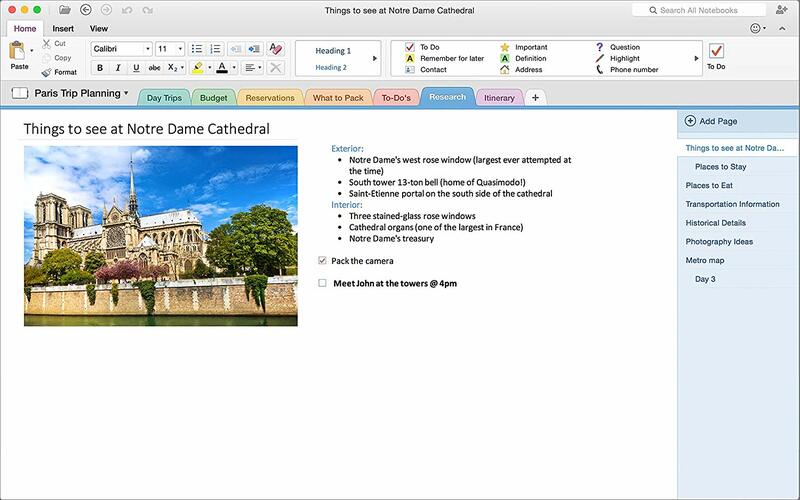 PowerPoint 2016 for MAC helps Create, collaborate and effectively present your ideas with new slide transitions including an ll new improved Animations task panel. Threaded comments alongside your slides help to incorporate feedback into your presentations with ease. Features inlcuding Presenter View displays the current slide, next slide, speaker notes and a timer on your Mac, while projecting only the presentation to your audience on the big screen to help display things - Your way! OneNote effectively becomes your very own digital notebook, to help track notes, ideas, web pages, photos, audio and video all in one place. Whether its for your home, collaborating in the office or on the move, you can take it all with you wherever you go. Operating system Mac OS X version 10.10 or later. OS X Yosemite, EL Capitan, Sierra, High Sierra, Mojave are compatible. In general all Apple macbooks/macs purchased 2014 onwards are supported. 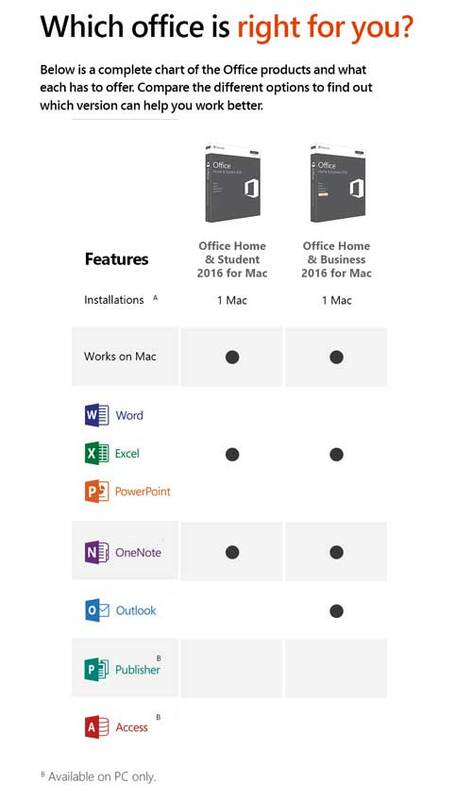 Office 2019 for MAC is also available for newer models and Office 2011 for older models.